Legends of Tomorrow Action Figures Are Coming! 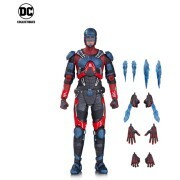 DC Collectibles will be releasing some Legends of Tomorrow action figures next year. 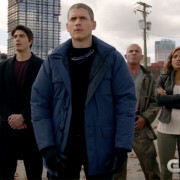 DCLegends has learned a big spoiler about a certain Kendra Saunders…. Did You Know Kendra Used To Be A Barista? A supercut makes it clear that Hawkgirl Kendra Saunders used to be a barista. 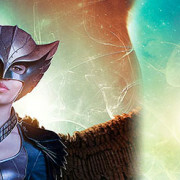 The CW has revealed a Hawk logo for Hawkgirl and Hawkman on DC’s Legends of Tomorrow. 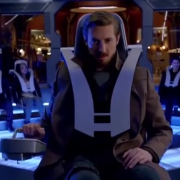 The cast of Legends of Tomorrow is interviewed in a new episode of DC All Access. 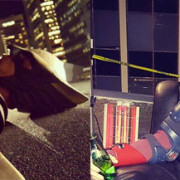 Caity Lotz has posted some new photos of Hawkman, Hawkgirl, and The Atom on Instagram.